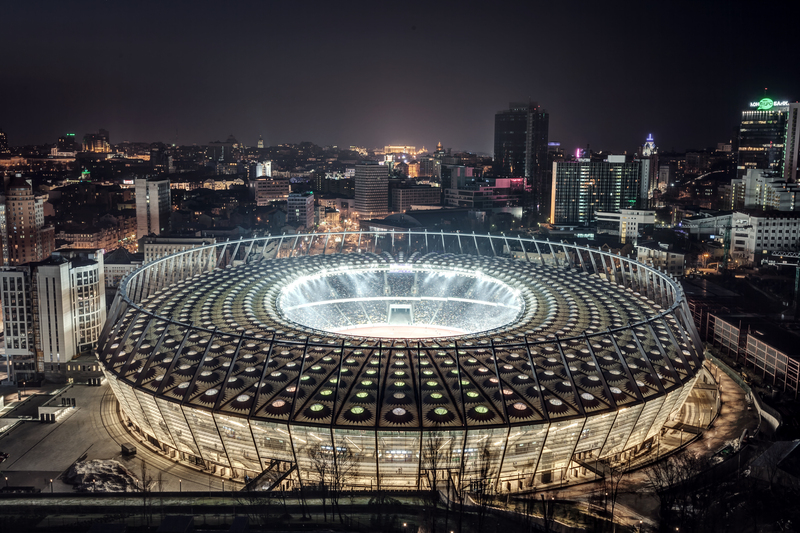 On the occasion of the 2012 European Football Championships the NSK Olymic Stadium in Kiev had to be completely refurbished to give space for 70.000 spectators. According to the plans of architectural group gmp from Germany, the stadium was equipped with the most modern technologies. But soon it turned out that the ailing sanitation facilities presented a special problem. Due to the existing building structure a conventional gravity drainage could only be realized with substantial technical and financial effort. In addition, the expected peak flow would have overloaded the existing wastewater infrastructure considerably. In search was a sanitary system that enables a flexible pipe routing with small pipe diameters and a significant reduction of wastewater. The water-saving Roediger Vacuum Drainage system met all these requirements and Roediger and our Ukrainian partner VKS won the tender to install the largest vacuum system that has ever been realized in a building. Five individually planed vacuum stations, 16.500 meters pipe network and over 1050 Roediger vacuum toilets are the impressive figures of this project – Water-savings per event are up to 360 m³ and with a total of over 100 events per year the reduction is really significant. Our sanitary system technology enables a flexible pipe laying with very small pipe diameter and simultaneously reduces the wastewater peak flow. centrally with special Roediger evacuation units. A special Roediger pipe ventilation system in the winter is taking care for a completely water-free and frost-free pipeline network.